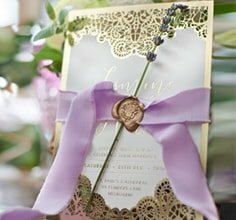 This classic wedding stationery features a dainty floral pattern that is digitally printed to mirror the precise silk screened design of its matching invitation. Its sophisticated design makes it a perfect match to any traditional or garden / outdoor affair. 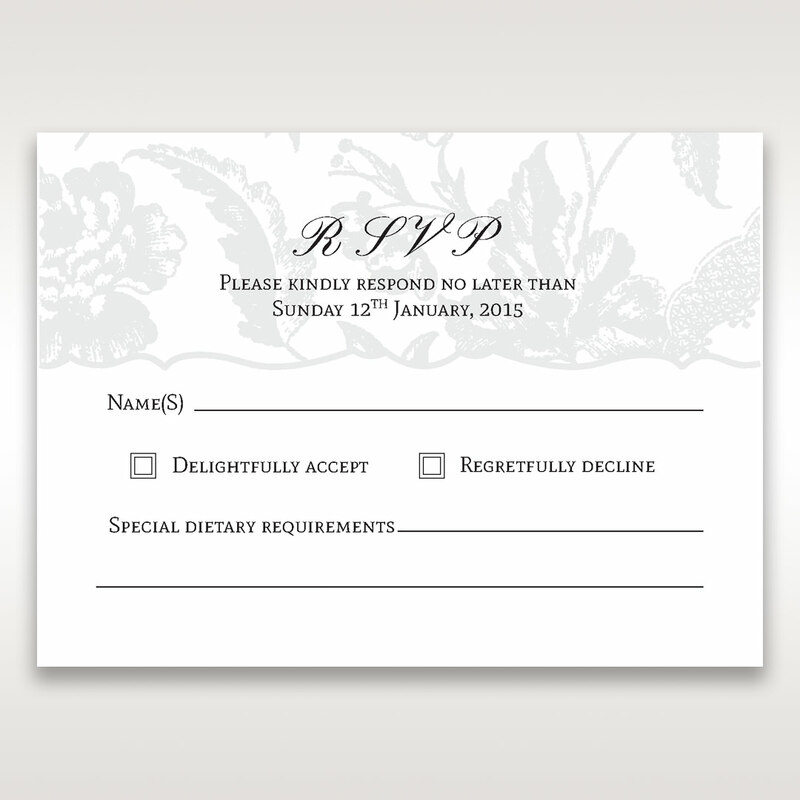 This RSVP card is also customisable to suit your wedding theme. You can opt to change the background colour by selecting a shade from our custom theme colour palette. Personalise it further by applying your own RSVP wording, selecting another font style and colour, or ask our designer to add a personalised monogram. For added elegance, raised ink printing is used for your text.